What's "The Greatest Innovation In History" being hinted at by Paul Mampilly? Today, for your holiday reading pleasure, we’re re-sharing a teaser solution that’s still being asked about (and apparently still being heavily promoted by the Sovereign Society folks). The original solution to this teaser appeared in a Friday File commentary, so some of you may not have seen it. I’ve excerpted most of the teaser solution from that Friday File below, and then added an update on the company to the end of today’s article. The ad started running about four months ago, and my teaser solution first appeared on June 3 — the ad has not changed significantly as far as I can tell, but it is running heavily enough again to send questions my way… and what follows is mostly unchanged as well (except for the update at the bottom). And yes, this is an instance where my curmudgeonliness would have resulted in a missed opportunity, at least at the moment — I wasn’t very enthusiastic about the pick, but as of today the stock is up pretty big since the teaser started running (more on that in a minute). This pitch, which a few of you have asked about already, is from Paul Mampilly in an ad for a service called Profits Unlimited — and it’s another “Internet of Things” spiel… which is actually a little bit refreshing. The internet of things is a big deal, it is important, and it will have a substantial economic impact over the next decade even if the consumer part of it (the smart home, wearables, etc.) doesn’t take off as much as we expect or in the precise way that we expect. The increasing “sensorization” of the world, with remote monitoring and sensor networks checking on bridge integrity and jet engine performance and traffic and everything else you can imagine is going to proceed apace. So it’s nice to be able to look at something like this with a genuine and powerful business trend behind it, instead of something like virtual reality that I think is much more uncertain, and much further from widespread deployment (outside of video gaming, at least). Whether that means there’s a great stock idea coming from Mampilly, well, that’s another question entirely — the newsletter marketing industry thrives on the power of big ideas, and on the ability of a crafty copywriter to go from that big idea to the “one stock that will rule the day” without stopping in the middle to consider competition, margins or other boring and distracting things like that. Or as I like to put it, the promises are often akin to “Rain coming, you will get rich by buying stock in Acme Umbrella.” There’s an appealing logic that rings true, but when you think it through things are rarely that simple. There are other umbrella companies, to say nothing of ponchos and raincoats, and maybe it won’t rain for as long as you thought, or new umbrella companies will cut their prices and try to take share once they realize it’s going to rain for years. But anyway, at least it’s a real trend that’s already pretty well established, and there’s little that’s faddish or particularly speculative about a lot of the projections of growth. More stuff is getting connected to the internet, we’re collecting more important data about more stuff in the real world, and that is going to continue. Paul Mampilly has been a newsletter guy for at least several years — he started out at Palm Beach Letter, I think, and pretty quickly moved over to run the FDA Trader for Agora Financial, then ran Professional Speculator for Stansberry during that letter’s very short life… and now he’s running this Profits Unlimited service, which appears to be a new “entry level” newsletter for the Sovereign Society. That’s a lot of moving around, which typically seems to happen when newsletters are unsuccessful at quickly building a sustaining level of readership (which is not necessarily the same thing as having an unsuccessful investing record). So what’s Paul Mampilly’s stock now? “The Greatest Innovation In History… 7-Times Bigger Than Computers, Tablets And Smartphones … COMBINED! And he repeatedly shows the photo of a tiny little doohickey on top of a dime, to emphasize the teensiness. That little doohickey is some sort of sensor, though it’s not particularly specific about what kind — and, as you can imagine just by thinking about the number of chips and sensors that are in your phone, or in smaller stuff like a fitbit or Apple Watch, being tiny enough to fit dozens of them on a dime is not that shocking and doesn’t really narrow it down. I don’t know about that “economic nirvana” bit, but otherwise I generally agree — with the caveat that the world has grown far more complex, and this is far more complex a budding network than was the internet or the railroad int early days, and could be far more distributed and chaotic in its development, so I think there’s a huge amount of guessing that’s taking place about exactly how it will evolve and who will benefit most. “In a moment, I’ll tell you about the one little device that’s at the forefront of this technological revolution, and who makes it. “Most importantly, I’ll give you specifics on how you can personally profit from it. 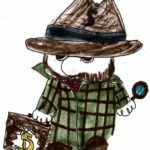 In fact, if my analysis is correct, you could potentially see thousands of dollars turn into hundreds of thousands of dollars in a short amount of time…..
“It reminds me of one of the biggest stock market successes in modern history … Microsoft. “If you were to invest in Microsoft back on March 13, 1986 – the day Microsoft went public – a $1,000 investment would be worth $838,833. “I think this opportunity could do the same for you … without having to invest in an IPO or take on unnecessary risk…. OK, so that gives us some idea… a company that’s already producing these little sensor chips, or something similar that’s an important part of the evolving “internet of things” ecosystem. But which one? “The Internet of Things is the future of ALL technology. “The time to take action is NOW. “And at the epicenter of it all is a tiny device made by a cutting-edge company that could hand early investors 5, 10, 20, even 50 times their money…. “… a remarkable – yet overlooked – company is at the forefront. “This company is literally at the pulse of everything shaping the new Internet. “If you were to make only one technology investment in the next decade, this should be the one. “I have absolutely no doubt. “As I mentioned, the Internet of Things is going to connect 50 billion devices by 2020. 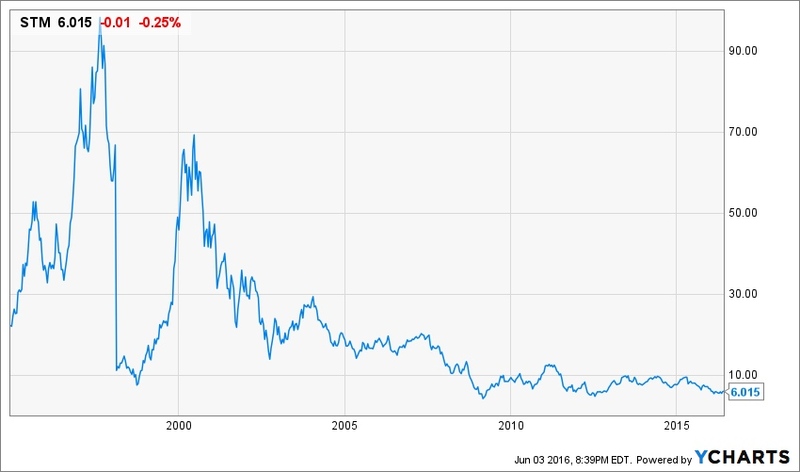 “It’s the same component that’s behind the biggest tech stocks in history. Huh? I thought he was talking about those little sensor chips, and the company that makes them. Do they also make software? Maybe. Perhaps some more hints will clear things up…. “You see, in order for the Internet of Things to work – every device must have one piece of software. “A tiny piece of technology called MEMS, which is short for microelectromechanical systems. 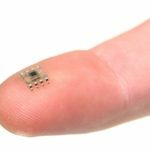 “MEMS are tiny low-power sensors … so tiny that 100 of them can fit on a dime … some versions are just a thousandth of an inch in size. “The Internet of Things will be able to sense, think and act, but only with these sensors. They are, quite literally, the eyes and ears of the Internet of Things. “So, to get in on the action, you will want to own a company that makes these sensors. “A few leading sensor producers are Texas Instruments, Hewlett Packard and Bosch. “Each company has strong profit margins … and when demand surges, profits will skyrocket…. “I’m not recommending you buy shares in any of these companies. “For the folks who follow my research, I prefer recommending smaller companies that are well-positioned for this type of growth and that have less exposure to other risks…. “Investing in this corporate pioneer today will position you perfectly to enjoy a ride on the greatest technological wave history has ever seen. “In the last few months, Apple, Samsung and Bosch have already signed on to his firm’s sensors. “Fact is, even if only a small portion of the $19 trillion flows toward this $5 billion firm, the growth will be through the roof. The CEO, Carlo Bozotti, is indeed a 40-year veteran of the chip business (I don’t know if he’s a “high-tech pioneer”), and his entire career has been at STMicro and, before that, SGS Microelettronica, which was one of the companies that merged to create STMicroelectronics — an intentional creation, with government backing, of a “European Champion” in the semiconductor business (the other was Thomson Semiconducteurs). And yes, the company has a market cap of about $5 billion (according to YCharts, it was a $25 billion company at the IPO in 1994… over the past five years it has fluctuated between $4-9 billion). And it is trying to reorganize and restructure (as it has seemingly done almost continually over the past decade) to focus on some growth areas in chips, including their strong MEMS division and other “internet of things”-related chips (you can see how they describe themselves here). And I’m not kidding when I use the phrase “trainwreck” — that doesn’t mean the company can’t get growth going, but it means it hasn’t done so for a very long time. The last time they posted sequential revenue growth on a trailing twelve month basis (as in, the revenue for the past twelve months in the March quarter was higher than the revenue for the past twelve months in the December quarter) was 2011. That’s a long time to have gradually stagnating revenues in an industry like semiconductors, where price competition on margins is relentlessly painful for even the strongest and most innovative companies. As you might guess, given the slow collapse in the share price over the past decade or so, it’s not just revenues that have been falling — profits have been weak as well. They have been reducing costs along the way, on R&D as well as general operating costs, and they’ve shed divisions and sold stuff, but it hasn’t been enough. In five of the past ten years, they have lost money — they have also bought back some shares, and some years they have made a profit, but there’s been no particular trend of improving performance that I’ve seen (other, arguably, than the gradually “less bad” years of 2012-2014, when revenues declined but they were gradually improving the bottom line… that string of small hopes stopped in 2015). If you try to take any near term impact out and guess at the long-term earnings power, making no assumptions about booming growth in their sensor business, then the average adjusted net income per year for STMicro is about $230 million (“adjusted” mostly takes out one-time costs like restructuring, which they’ve done a lot of). The company has a market cap today of $5.3 billion, so it’s trading at 23X their average adjusted earnings over the past decade. That’s not completely wild, though I think it’s an awfully high number for a company that’s not growing. So… will they grow? Analysts are ready to be optimistic about STM — they expect that the company will have revenue growth next year for the first time in six years, and that this will turn into earnings growth and bring 41 cents (a number that’s come down slightly in recent months) in earnings per share in 2017, and that they will then post 50% annual earnings growth for five years after that. Which is a pretty remarkable turnaround after average annual declines of 20% for the previous five years. I’ve written about STM a few times over the years — it was very aggressively teased as the maker of the “one device to end all disease” by Michael Robinson back in 2013, and before that it was pitched as far back as 2007 as the company of “Geneva tech wizards” who would dominate the next tech boom (chips that would enable smart houses, the Wii, the first iPhone). At both of those times, Wall Street analysts were just about as optimistic as they are today. In 2007 STM had a forward PE of 15 and expected growth in the 20% range, and those forecasts turned out to be way too high (to be fair, 2008 wasn’t a great year for anyone, but most of the other years weren’t so hot, either)… in 2013 analysts were expecting about 38-40 cents per share in earnings by 2015 (STM actually earned 12 cents, or 17.5 cents in “normalized” earnings last year) and about 60 cents in earnings per share by 2016. 2016 forecasts today are for 16 cents a share, and even in 2017 analysts are now expecting just 41 cents… and, obviously, we should have learned by now not to put much faith in those analyst estimates. So… will STMicroelectronics turn around? It’s not going to be easy — partly because the “activist investors” they’ve had to deal with are the French and Italian governments, which together still own large stakes as far as I can tell (Italy was planning to sell some in their debt crisis, but the last news I saw was that France and Italy combined still owned 27% of the shares). Those “activists” don’t much like restructuring or layoffs, and they definitely don’t like the continued poor performance. The CEO has been in place for 11 years, presiding over many of the strategic errors and bad luck and weak sales and losses, so it’s hard to see why he still has a job, frankly — let alone why we should be convinced of his ability to turn the ship around. Maybe he can, and maybe the weakness has nothing to do with him (I’ve heard many folks blame the mismanagement on government interference, though I don’t know the details). Recovery is far from being impossible, and STM does have an admirable manufacturing capacity in MEMS chips, as well as a large amount of probably valuable intellectual property regarding those sensors and the other broad areas of business STM participates in within the semiconductor industry… but I have a hard time considering it to be likely without becoming an expert on the company and their strategy. Maybe Mampilly is an expert and has some insight that I don’t — but, as he also notes, there are several much larger companies who also make a lot of MEMS chips… and lots of smaller ones as well, many of which have also been struggling in this hypercompetitive environment. Few of those companies have numbers that look as weak as STMicro’s if you just skim through the top-level financials. NXP (NXPI), which I wrote about last week and which focuses on a lot of the same end markets with somewhat similar product offerings, has gross margins of 45%, Texas Instruments (TXN) has gross margins in the mid-50s, even little Invensense, which itself has struggled thanks to overreliance on Apple and Samsung, has gross margins above 40% (their performance over the past three years has been even worse than STM’s). STM has gross margins of about 34%. So believing in STM, even at what looks like a horribly depressed price compared to their 20 year history, means believing that they have some way of fixing things and righting the ship, and that they really can get to revenue growth and earnings growth again, perhaps on the strength of their focus on MEMS chips that will be used in the internet of things, self-driving cars, etc. The problem with that picture, as I see it, is that all the other strong companies in the space know about these trends, too, and they’re all working toward dominating those same markets. I’m a lot happier betting on a strong, profitable company going into a competitive growth phase than I am betting on a company that’s counting on external growth to help them fix problems they’ve had for more than a decade. I might be overly critical because of STM’s history, so in that case the possibility is that STM isn’t getting enough credit for the potential of their turnaround, and for the rising tide that might lift all ships. In that case, I can live with being wrong and missing that opportunity, partly because I don’t think STM will do dramatically better than the companies I’d feel more comfortable buying. STM might work as a turnaround, and the assets are valuable and they do arguably have a leadership position in some MEMS chips… but I’d much rather go with NXPI, TXN or other somewhat related stocks like Broadcom (AVGO) that are showing some underlying business strength. It’s possible that I’d pick STM over Invensense (INVN) or Qorvo (QRVO), two other relatively weak competitors who are suffering some in comparison with the leaders, but I haven’t looked at those in detail of late… and, thankfully, I’m not forced to pick one of the laggards today. I have a lot more faith in NXPI’s growth potential as an internet of things play, despite its larger size, than I do in the perennially disappointing STM. UPDATE: STM last released earnings about two months ago, and the stock had a nice rise following that — it’s now up about 30% since I first covered this teaser pitch on June 3, which erased the swoon of the first half of this year (the stock is now up almost 14% over the past 12 months). That’s certainly a more positive couple months than my favored big chip stock (NXPI) has had, even with the latest surge from NXPI’s takeover rumors… though I’m still more comfortable personally with NXP Semiconductor than I am with STMicro. The company’s quarterly earnings were right in line with expectations, thanks to some strength in autos and “internet of things” networking applications, but the company issued optimistic guidance about the third quarter that was rosier than analysts had expected (much better revenue growth, and a forecast that gross margins will be well over 35% — Bloomberg story here), and the stock popped by something like 10% on the news almost immediately. That’s impressive, to be sure… but I’m not jumping on board this one. That optimism means that there will be a lot of eyes watching STM’s next quarterly release on October 27, and with this surge over the past few months has built expectations up pretty substantially. The estimate right now is for eight cents per share in earnings — and for what it’s worth, the third quarter of last year was the most recent quarter when the company actually beat earnings (the last three quarters have been weak), so perhaps Q3 is just a good time for them (though eight cents in earnings would still mean that they’re not growing year over year). Both the results and the forward commentary about the end of the year are likely to have a big impact on the stock price. As I noted above when I originally wrote this piece in early June, I may be feeling too pessimistic about STM because of its long and disappointing history, so your opinion may certainly differ from mine. If you’ve thoughts to share on STM or their competitors, please feel free to toss them on the pile with a comment below — thanks! 186 Comments on "Profits Unlimited’s “$7 Tech Stock” and the “strange industry expected to surge 8,000%”"
I bought STM when Mampilly recommended last year… 80% profit. SNSR – a specialized ETF on IoT has STM as its largest holding. Investing in this ETF seems like a good option. I bought into $STM when the dime with the dot on it first showed up. I’ve also had NXPI but dumped it started dropping with the merger announcement. A Manufactuer of the Year award from Shanghi, China doesn’t impress me that much, I’d feel better if it came from a more reliable source than Globe newswire. How much of the runup is do to Mamilly and others promoting the stock? I’m up 112 % on STM so I can’t complain. That is not counting my dividend of 5% either. I have to hand this one to Paul Mampilly. It was great pick. Could you tell us when you purchase and at what price? this guy has ripped off thousands. why does yahoo have this on their home page? I am poor as dirt and am a beginner but my little bitty stock portfolio is growing steadily. When he gives the word to SELL I will sell!! Paul and the rest of Banyan Hill is about making money and get out when you can. Some of my subscriptions have expired but I still get my newsletters for those expired subscriptions. I can’t see the model portfolio table but I get information about the recommended stocks in the newsletter for free! Hi Chaps. When I got into this stock July 2016 it was at a price of $5.50 and today it’s $15.50. I sold stock this January to cover what I paid at $11.10 and am now on a free ride with the rest . Some of the other stock I have on his recommendation are , IBM, UP 20% , Qorvo, UP 18% , Rockwell , up 25% Auto desk up 15% and Sprint corp up 28%. Not bad all in all but that could be down to getting in at the right time. I got stuck in the mud with a geothermal HYPE. It didn’t go broke but didn’t do much despite the publicity. Thanks for the GUMSHOES to get me out of the mud. I got into STM on Paul’s recommendation and am pleased as punch and bought more shares later on. Initially, in May 2016, the stock was at $5+ and is now over $15. Take a look at who they’re producing for and you’ll see why I am very bullish on this stock – certainly much more growth to come. I would have no hesitation about getting in even now, and will probably buy more. New here…. i was living in Silicon Valley in the early 90s, watching as companies boomed or busted, entrepreneurs that were touted to have their finger on the right pulse, etc. Given how fast people/companies try to make money by entering markets, and because MEMS is a industry that is really just booting up, what markers do I use for discerning which companies are suited to provide technology that we can’t do without? So, if he’s right about 8,000% profit….then your 80% is chicken feed and you should be dumping the whole 401k, IRA and all your other stocks on this one. Paul is very explicit about not throwing the whole farm into anything. Bought 500 late last summer,up 250%,still expect double from here. I bought STM at $7.80 last year, today its trading at $16.40. Do you think it’s too late to hop on the STM train? Is STM a good buy right now to join this wave for this chip technology where “Experts project this technology breakthrough’s growth to go parabolic … and soar to $8,000% by the year 2020.” from Eagle Financial Publication…? Down over 6% so far today, as are lots of tech stocks are way down. Not sure why. This is my largest position, but am holding on. I invested in stm in june2016..it ran up to 17 then declined to 15..i sold then on outside advice..i madejust under 11k..i follow p mampilly ..so really i got lucky on his advice..and thx for sheading lite on 27%ownership by those govt..prob socialistic leaning that must meddle in stm.. I haven’t invested in a while but because of STM’s long and disappointing history I would stay clear of it. Do you think NXPI is a better bet? Is this new and has it been discussed here? For $199 he says he will tell you how to ride America’s next Energy Mega Trend, The Chance to Turn What Experts Are Calling the “Next Gold Rush” into 10, 15, Even 25 Times Your Money. Thermal heat energy…..it has a way’s to go. Pink sheet stocks.